"When he opens his mouth, people rub their eyes in disbelief ? this magic continues all through the show, enchanting every soul in the audience." Asaf started out armed only with his acoustic guitar, and a bunch of heart drenching words. After touring feverishly before small crowds around the country, he decided to mix in a little more rock and dirt. The Mojos were brought to life, and a monster was created. 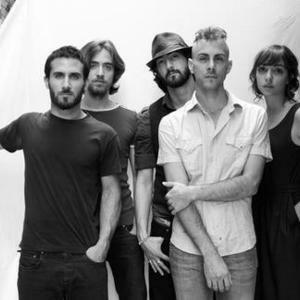 Asaf Avidan & the Mojos sound like a blend of everything we liked about rock in the 60's and 70's, with a edge of modern sound and a dash of... that thing that happens along only once in a generation: a true unique voice. Captivating audiences of all ages, his lyrics and music strike a global chord. From his acoustic, armor piercing duets with Hadas Kleinman on the cello, to the body shaking, all-band rock tunes! "This was one of those concerts where you come out drenched to the pit of your soul, full of energy and dead tiered at the same time ? I can't remember a time when I was so awe-stricken by a performance!" "I can't help but wonder ? am I witnessing the birth of a legend?"